... here are a few recentlyish (don't worry, I know that's not a real word) revealed pieces of cover art that I can't help but find appealing. 3. Fantasy Life (3DS)--Don't worry, I'm not going to say for a third time that I'm clueless when it comes to one of the games I'm highlighting here. In fact, I know quite a bit about Level-5's Harvest Moon clone, as I've been paying attention to it since it was first announced as a sprite-based DS title. Anyway, it's still unknown as to whether or not this one will make its way across the pond, but I'm hoping beyond hope that it is--especially if the folks at Level-5's North American arm decide to use this piece of cover art, too. 4. Disgaea D2 (PS3)--I know what at least a few of you are thinking right now: "Ugh. This one's just your typical 'crowd of characters' box art that's all too common in Japan." Although I agree with that reaction, I'm still pretty fond of this take on that tired trope--thanks in no small part to its effusive use of color. 5. Atelier Totori Plus (Vita)--Gust's Atelier series has intrigued for as long as I've been aware of it. For strange reason, though, I've yet to pick up one of them and give them a try. 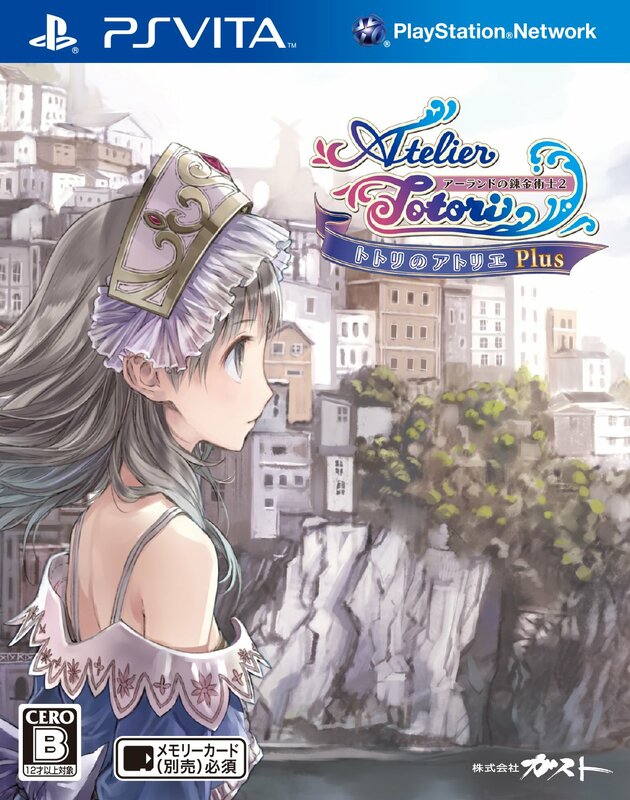 Considering I don't own a Vita and I don't plan on changing that anytime soon, I can't imagine I'll be starting with the beautifully packaged Atelier Totori Plus. That said, it's possible I'll buy this game's PS3-based counterpart sometime next year--assuming I also purchase the system that's capable of playing it. What do all of you think of the pieces of cover above? Do you love them? Hate them? Or maybe you're completely indifferent to them? 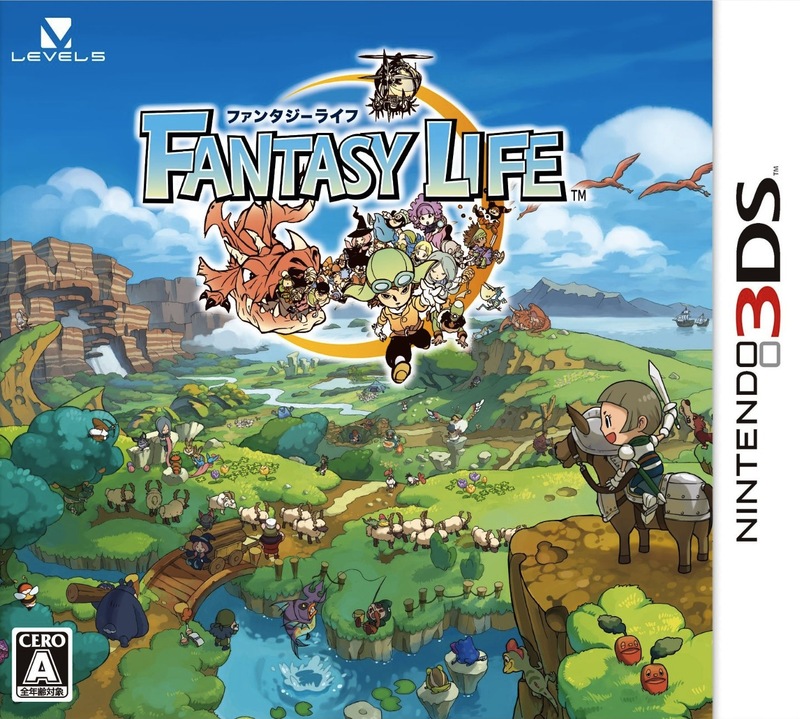 The Fantasy Life box art is amazing! So cute and epic! Wow, you're right,Bryan - all fantastic! It would almost be worth buying them just for their covers! My thoughts exactly, Simon! I especially feel that way about the PSO2 cover. 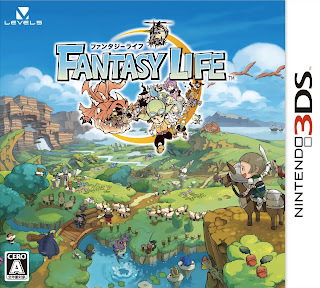 If we're just talking about the games I'd actually like to play, though, I'd have to go with Fantasy Life. Too much or not enough going on in these, IMO. Well, you know what they say, Tom: 'To each his own'! Do you like any particular recent-ish box arts? When I saw Atelier Totori on Game Stops shelves I thought about buying it because it looks so super cute. But to be honest I hate mixing elexirs or combine crystals and stuff so... I think it was the right decision. 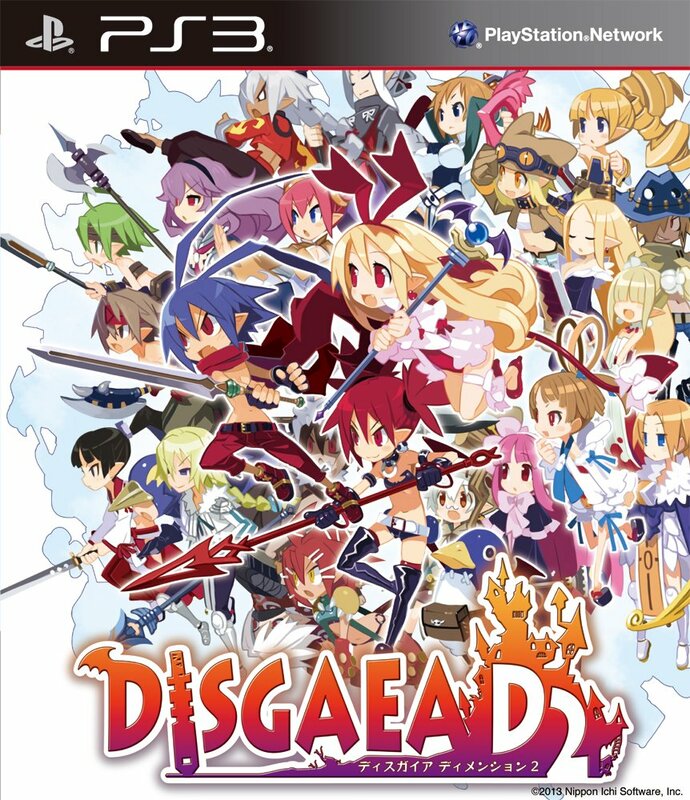 Bought the first Prinny game for PSP and love it but Disgaea is just not my kind of game. Fantasy Star Online was (as far as I know) the only online-game for Segas Dreamcast. I always wanted to get it but it was way to expensive... apart from that I only know the NGC title and Fantasy Star Universe (Xbox360) but never was really interested in those. Have you any experience with this series? Have you seen the super awesome looking Monster Hunter 3DS? Or the Metal Gear Solid 3DS with snakeskin-surface? Oh I love special console-bundles. Ok I didn't like the red Mario-Wii so much or a Resident Evil 5-Xbox360 but when It comes to handhelds I just love it. My favourite 3DS ist still the Animal Crossing 3DS XL but I'll get my Pikachu 3DS XL soon so that should be a consolation. Sorry for spamming all those links but I just need to share my excitement with someone who's interested in the same things. As for Fantasy Life: Oh, I hope it comes out in Australia and Europe and North America, too. Sadly, Level-5 hasn't said anything yet. Maybe after it's released in Japan? RE: Atelier Totori and other Atelier games -- I know Anne over at Chic Pixel likes these games, or has liked some of them, at any rate. I'll have to pick her brain about them eventually, because I am curious about them. I have no experience at all with the Phantasy Star Online series, Melody. Only Phantasy Star games I've ever played were the originals for the Master System and Genesis (Mega Drive), and even then I didn't play any of them to completion. Still, I'm curious about this latest one -- which, interestingly enough, has been praised quite a bit by Chic Pixel's Anne, if memory serves. BTW, I like LE systems, too. Mainly just handhelds, though. I wonder why that is? Just got your e-mail and responded to it, BTW. Hope it made you feel better about things! Actually, I played and reviewed Fate/Extra a while back! 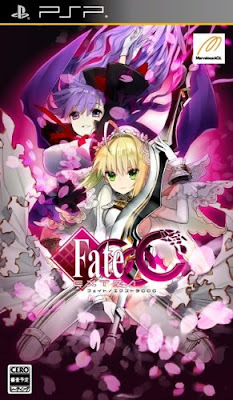 http://videogamewriters.com/review-fateextra-48601 The combat system is definitely different, but as someone who isn't familiar with the series at all (it's based on some PC visual novels, and there are all kinds of game and manga spinoffs – you can totally play Fate/Extra without knowledge of the others, though) I'd say it's definitely worth a shot! The character dynamics and gameplay flow is very interesting. 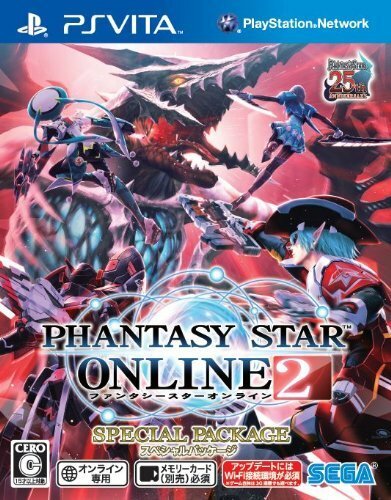 And as for that PSO2 bundle – it is indeed a special edition, as the game is actually 100% free to download and play. People who buy the special retail version will get a number of paid exclusives that you can't get otherwise. Since the PC version is cross-compatible with the PS Vita version, I'm actually considering picking it up for Shaun (he's put nearly 200 hours into PSO2 so far and hasn't spent a cent!). I see my name mentioned a number of times here, haha! Yes it does thank you Bryan. About my name: actually I don't really care lately so you can choose :9 Lizzi or Melody, I'm ok with both. And just take your time to watch the AC-movie. I understand if you are too busy. Don't worry about that. Oh, I know I'm weird, Lizzi/Melody, but I really want to call you by whichever name you prefer. Which do you go by in real life? Ah hey Anne! 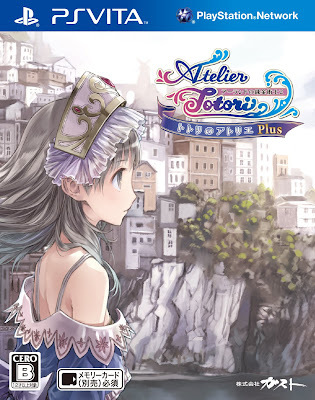 The PS3-version of Atelier Totori (the one on the pic) is the one I thought about buying it. But I did not because I'm not a fan of combine and mixing things so... would you recommend it to me anyway? It looks so cute! Just as Eternal Sonata (BTW did you like it?). Most people call me Lizzi in rl and on the internet I'm mostly Melody or Miku. What do you think sounds better or fits? BTW my Wii U Deluxe Set arrived today! I got a Samsung Galaxy S2. As for your new case and dust plugs: They *are* cute!